When I went out this morning to walk t he dogs I had a wonderful surprise waiting for me. 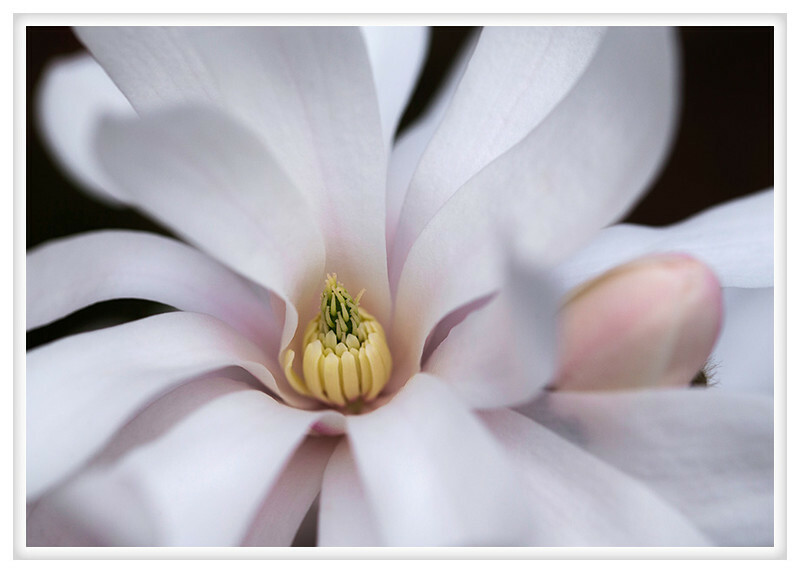 The start magnolia is in bloom. I had noticed the buds beginning to open a couple of days ago and one or two flowers began to bloom yesterday but overnight it really came to life. The tree is covered in these delicate blossoms and, sadly, they don't last long. Rain will damage the delicate petals and winds will tear off ragged chunks. In a couple of weeks the will be well past their prime and a week after that they will be gone. So I grabbed a ladder to get the best angles and took a load of pictures to remember them in their absence.